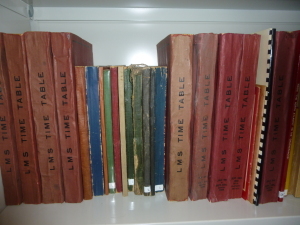 We have an extensive collection of working time tables dating from pre-grouping days to the present day. There are also large numbers of passenger timetables covering the smaller railway companies, the Big Four and British Railways. We have a number of Bradshaws as well.